Google yet again, has come up with another Chrome features and this time, it's is to fight against website's showing disruptive Ads to users. 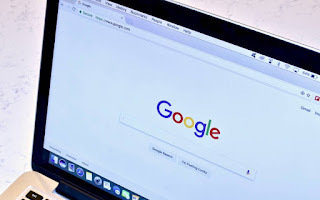 The new Google Chrome update - Chrome 71 will block such Ads instantly. Such Ads are very bad and can affect users experience. Most sites use such Ads not only to generate income but to steal personal information of the user on the site. Abusive ads can also be categorized as an act of redirecting users from the user intended page, manipulating browsers plugins and downloading files without the user's knowledge. Google Chrome 71 is scheduled to be released around December 2018 and website's displaying such Ads currently will be given a 30 days grace to clean up their website's or they will be affected with low of income since Ads will refuse to be shown to any user. To understand the seriousness of disruptive Ads, Google will not only disable the Ads which is abusive but will also disable all Ads on the site. "Stronger protections ensure users can interact with their intended content on the web, without abusive experiences getting in the way." wrote Vivek Sekhar, Product Manager at Google Chrome in a blog post. Since 59 percent of marketshare worldwide uses Google Chrome daily, website's displaying these abusive Ads should quickly change the abusive placement to a more organized Ads to prevent their site from losing revenue. Nice one uche! Hope this won't affect we bloggers ? It wouldn't affect bloggers that displays ads appropriately. Only site displaying Ads abusively will be affected.